The Surgery Table is the benchmark for Oral Surgery table products. 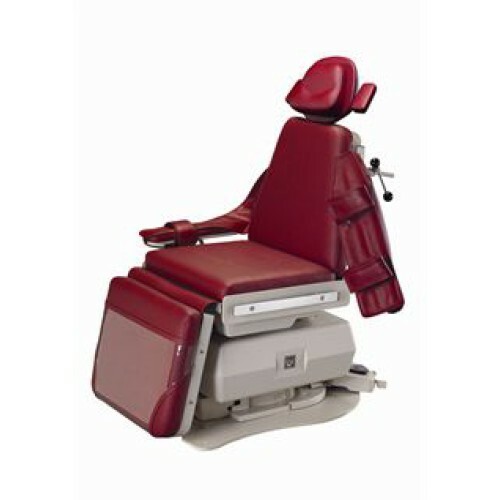 The table is manufactured using a durable steel frame with ergonomic tapered back for easier access to the oral cavity, seat width of 22 ½, four quiet low-voltage precision movement DC motors for independent height, tilt, back and toe adjustment, powerful vertical lift column base rated for 500 lbs patient capacity with 16" vertical stroke, detachable quad-function 3-position programmable foot control with emergency stop, position lock button to prevent accidental chair movement during procedures and easy "return to home" button to return the patient to the full upright position. The table is offered standard with Boyd's universal rail arm board mounting mechanism, vinyl/standard foam upholstery in two style choices, clear plastic foot protector, body restraint strap, choice of dual articulating headrest and duplex 115vAC medical grade receptacle in seat frame. 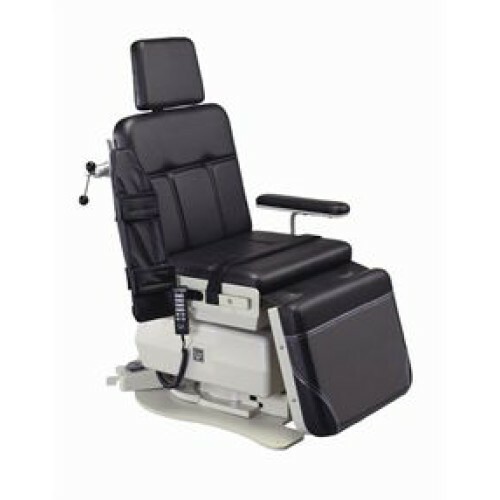 Options include either swivel with 160⁰ from center travel or centralized locking mobile base configurations, Ultraleather/memory foam upgraded upholstery, choices of patient and IV arm boards and detachable hand-held chair movement control.